This super healthy and affordable meal is quick to make and super nutritious. Adults usually eat two of these and kids one is just perfect to fill them up. Keep in mind you can eat these wrapped up like a burrito or just folded in half like a large taco. Both ways work. The kids really enjoy making these and enjoy rolling them up. In a large frying pan grill the chicken pieces on each side. Heat up the beans. While the chicken and beans are cooking get all other ingredients together. Take the avocado and cut into thin slices. 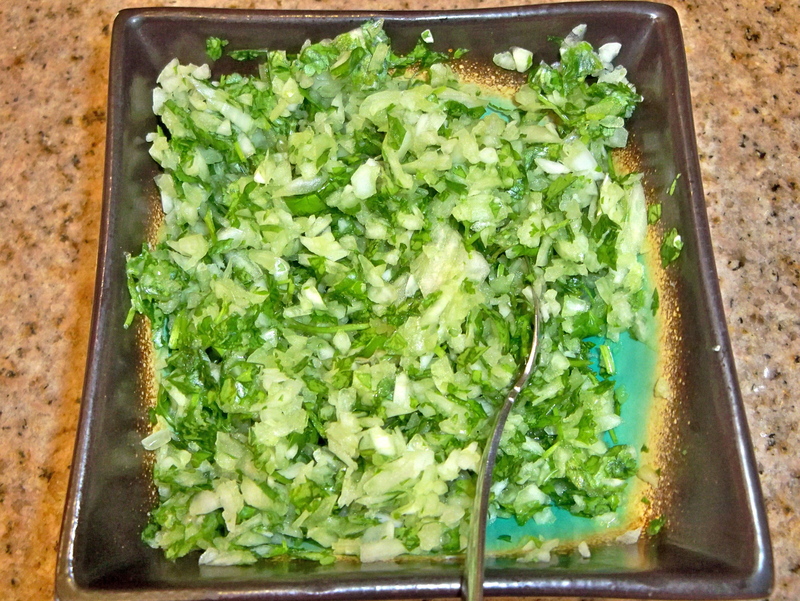 In a food processor cut cilantro and onion together until finely minced. If you do not have a food processor just chop them fine. Take the salsa in a small bowl. We warm the tortillas for just about 30 seconds in the pan and let them sit on the counter so they get to room temperature before warming. Take all the prepared ingredients and put them on a large plate. The kids love making these wraps and they seem to be a hit every time. They are filled with great nutrition, affordable and super quick to put together. When the chicken is golden on each side but not dried out remove from pan and chop into pieces. We put one tenderloin in each wrap and fill them with a nice scoop of all the rest of the goodies. 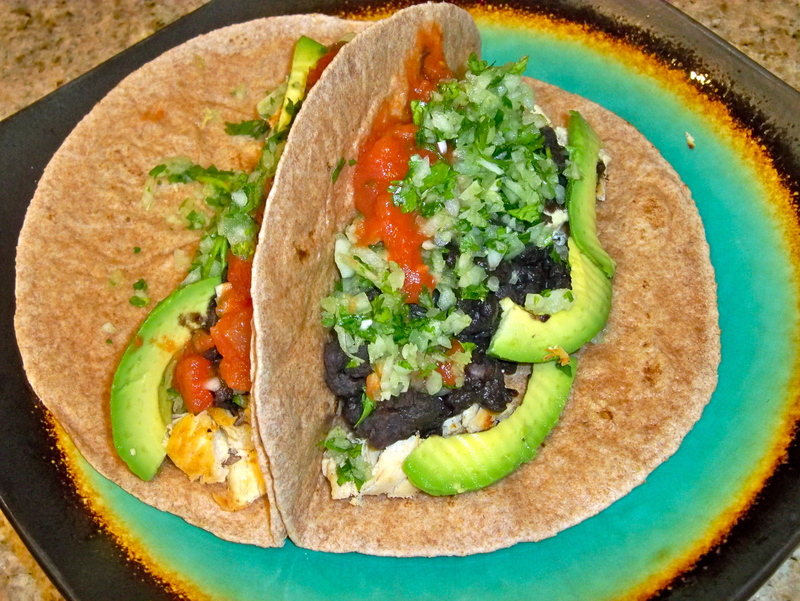 Take the tortilla and fill with a scoop of chopped chicken, a scoop of beans, a scoop of cilantro onion mixture, a spoonful of salsa and then some avocado slices and your ready to eat. We use the organic rancher’s choice frozen chicken from the freezer section of Whole Foods. It comes out to $3.00 for 6 pieces. For the beans we get the dried beans from the bulk section of our healthy store and soak the beans overnight then cook them on the day of the meal. I typically buy these and soak them when I get back from the store so they are on call and ready for dinner whenever we want them. The beans we get 2 cups of beans for under $.50 cents. The onion we get for $.50 cents. The cilantro runs $.40 cents. The salsa we get the whole foods brand organic mild salsa for $2. The avocado runs $1.50 each and the tortillas $2 for the whole foods 365 store brand for a pack of six. You can also do it with the organic corn tortillas to make more for less and pick them up for $.99 cents for a bag of 12. The meal for 6 large wraps comes in at $9.90 for the family dinner. It runs $1.65 per wrap. For adults who eat 2 you are looking at a meal for $3.30 for the plate. The kids who usually are full on one large wrap you are looking at dinner for under $2 coming in at $1.65 for their single wrap.